Andorra is a prosperous country with hard working people. 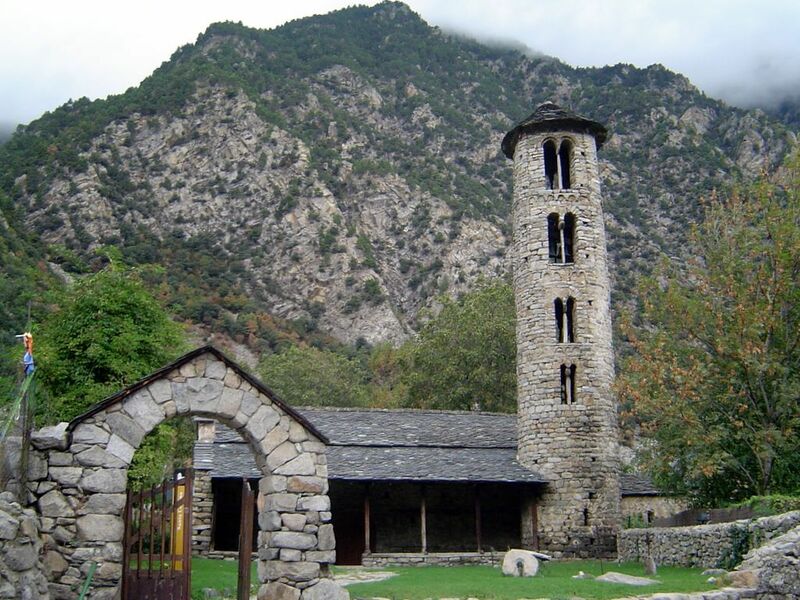 The citizens of Andorra make up only one-fourth of the total population. The rest of the people living in the country are Spanish and French immigrants. One-third of the population speaks Catalan, the official language of the country. Spanish is the dominant language that is spoken by more than half of the population. A small number of residents speak French. Most of the residents of the country live in small villages or communities. They are generally hospitable, cheerful and friendly, especially to tourists who visit the country. People of Andorra value family ties and respect for other people. They also have the highest life expectancy in the world, averaging 85 years. The Principality of Andorra is a rather small country in Europe. Located in close proximity to the countries of France and Spain, Andorra has a majestic countryside with breathtaking views and other equally amazing natural tourist spots. For many years, Andorra has been known for its beautifully sculpted mountains that are popular among many tourists. Around 11million tourists visit the country every year, most of them staying during the holidays. Andorra is an exceptional place for vacations, especially during the summer. 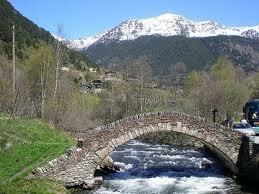 Andorra is a great place for families on vacation or lovers who are simply enjoying the beauty of the country. Mid-December is one of the best times to travel to Andorra. This is when the snow starts to fall, which is also when ski season is in full swing. The skiing season lasts until April. During late July, August and September, temperatures become mild and more tourists start coming in. The lands are mountainous in most parts of the country. Andorra is located in southwestern Europe, located between the borders of France and Spain, high in the Pyrenees mountains. The country's mountains have an average height of 6,548 feet. The highest peak is 9,665 feet high. 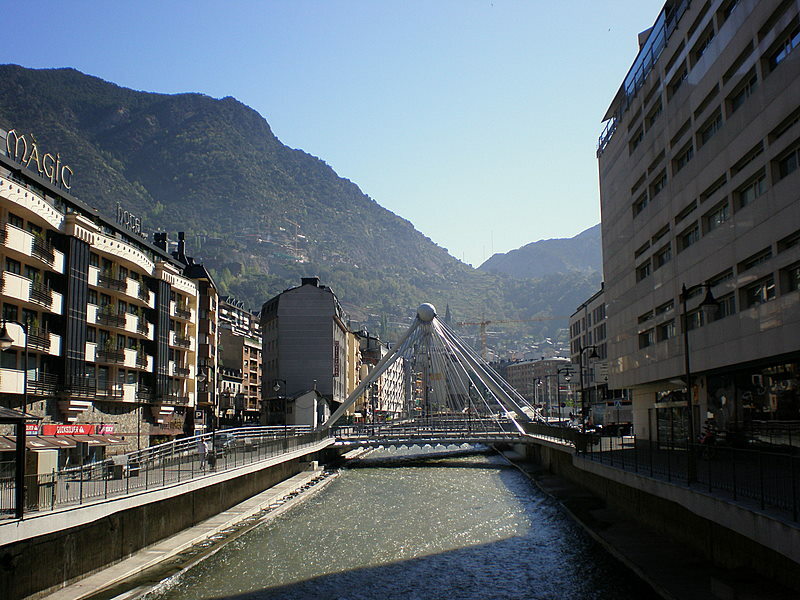 The capital and largest city of Andorra la Vella receives its share of tourists. Other places to see include Canillo, Encamp, La Massana, Les Escaldes, Ordino and Sant Julia de Loria. The climate of Andorra is very similar to its neighboring countries, which experiences temperate climates. However, since Andorra is located high above the mountains, it has a higher altitude and therefore receives more snow during the winter and slightly cooler weather during the summer. On average, there are 300 days of sunshine every year. Andorra is a semi-independent co-principality that has been under the rule of the French state. It has been this way since the year 1278 and very little has changed. The country maintains close ties with Spain, and Catalan is its official language. The country is the last survivor of the Marca Hispanica, which was created by Charlemagne to stop the Islamic moors from invading Christian France. During the ninth century, Charles the Bald, (who is also Charlemagne's grandson), became the ruler of Andorra. The ruler later turned over the governance to another one of his descendants who also passed it on to the Diocese of Urgell led by the Bishop of Urgell. During the World War II, Andorra was neutral, yet was a smuggling route between France and Spain. In the year 1958, Andorra declared peace with Germany. The country began as a modern state in 1993. 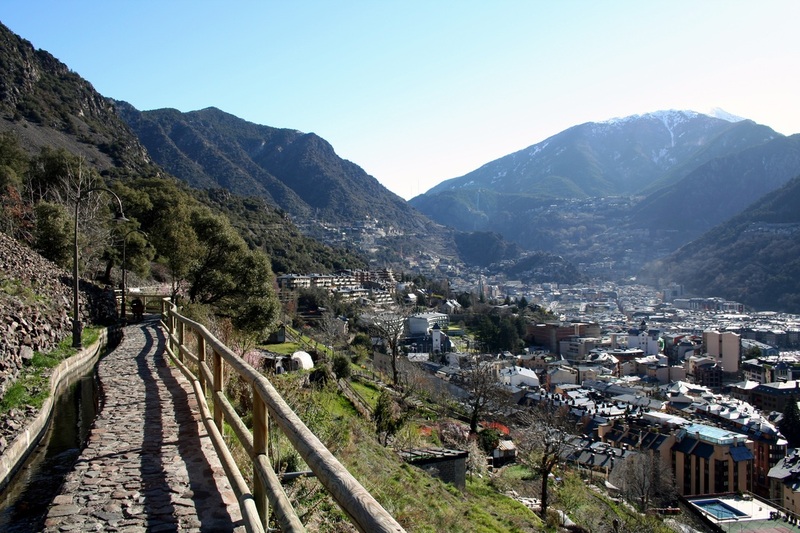 Andorra is full of many interesting places for people to visit. Some of these include the Pas de la Casa, which is a famous town in Andorra. This place has an incredible ski resort, and has one of the best snow reliabilities making it a great skiing place. 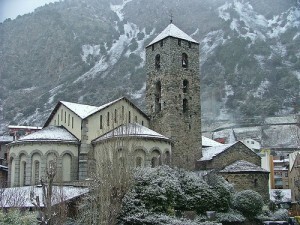 Eglesia de Santa Coloma is a popular church that is the oldest in Andorra. It was built in the 12th century, yet still remains intact. However, some portions of it have been modified in the past years. Museu Nacional de l'Automebil is a famous museum that has a collection of 80 vintage cars that have existed since the 18th century. There are also antique motorcycles and bikes that are truly amazing. Many automobile enthusiasts visit Andorra to tour this museum. Caldea is the biggest spa center in Europe, which is why it is flocked by many tourists. It is a water palace that has an altitude of 3,280 feet. After a day of sightseeing and touring, it is worth visiting some of the best nightclubs, restaurants, pubs and cafes in town. Joining the crowd is a great way to get to know the culture of the country. Andorra offers an exciting nightlife to all those who love being outdoors, with locals and tourists in musical shows, dance clubs, pubs, or late-night cafes. Those who want to enjoy a more tranquil night can go out for a late dinner in a classy restaurants, perhaps with a lover or with family and friends. Making the most of your vacation will be truly enjoyable by experiencing the thrilling nightlife in Andorra. The people of Andorra are music lovers. The country celebrates Jazz Festival that is held every July and Festival of Classic Music every September. The months of November until May are seasons of dance and music in Andorra. These celebrations alone show how much music has influenced the culture of Andorra. There are other festivities that are celebrated by the country that are related to people's religious beliefs. Some of the other festivities and holidays are St. George's Day wherein books and flowers are given to people as gifts and Fiesta del Poble, which marks the beginning of summer. Because Andorra is landlocked between France and Spain, most of their dishes are Catalan. Some of the cuisine is also French and Spanish inspired, although most dishes lean toward the Spanish style of cooking. Some of the most common ingredients are pasta, meat, fish and vegetables, which are enjoyed by many residents of the country. Local dishes include trinxat ( a dish made from cabbage, potatoes and bacon); xai (roasted lamb); coques (a mushroom omelet); and cunillo ( rabbit meat that is stewed in tomato sauce). Other dishes in Andorra include sausages, pork, ham and cheese. Andorran cuisine is delicious and mouth watering. In fact, most of their dishes are already being cooked and commercialized in restaurants all over the world.